I give you thanks and praise for this. and to carry it out well. in a world filled with distractions. to open my arms everyday to be at your service. especially as we all carry out our special mission in life. who is one with you and your Son now and forever. Amen. for my father, and for our home. 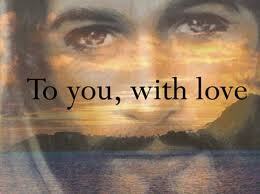 Help him to love you always. as Jesus your Son taught us to do. he would want them to do to himself. I thank you, Lord, for my father and guardian. and continuous sacrifices for us his children. and keep him always in your company. Amen.